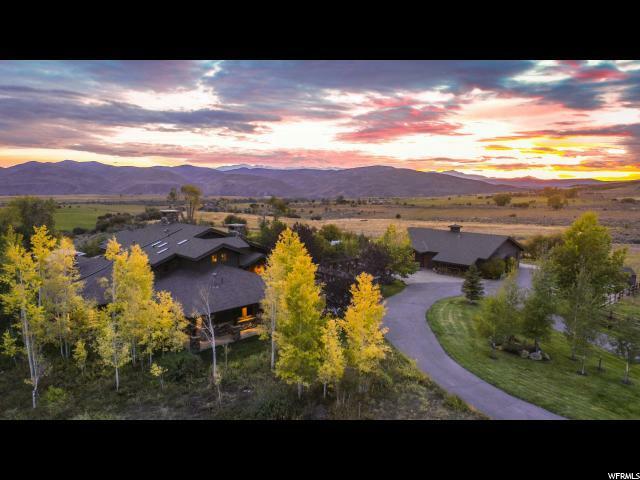 Elk Meadows Ranch in Oakley, Utah: Exquisite estate on over 8 acres of complete privacy; located at the end of a private gated road, surrounded by large ranch parcels. This stunning home has a timeless feel with plenty of private and entertaining spaces; the four fireplaces add warmth and ambience. 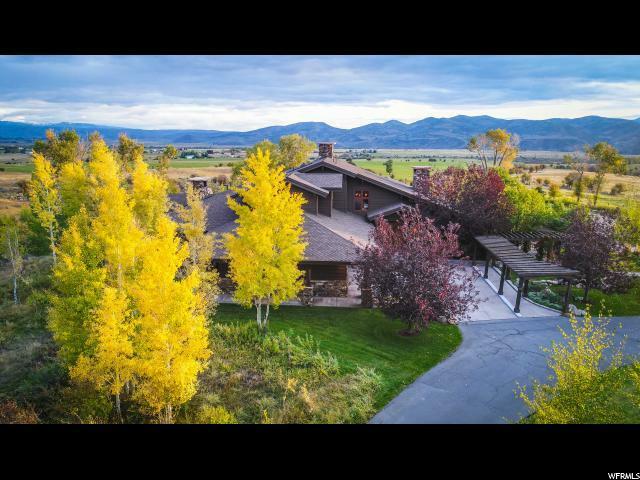 Stunning master suite with fireplace, sitting area, washer & dryer and private deck looking towards the mountains. The heated barn features 4 stalls with runs, wash bay, tack room with washer & dryer & bathroom, 2-car attached garage plus an one-bedroom caretaker's living quarter. 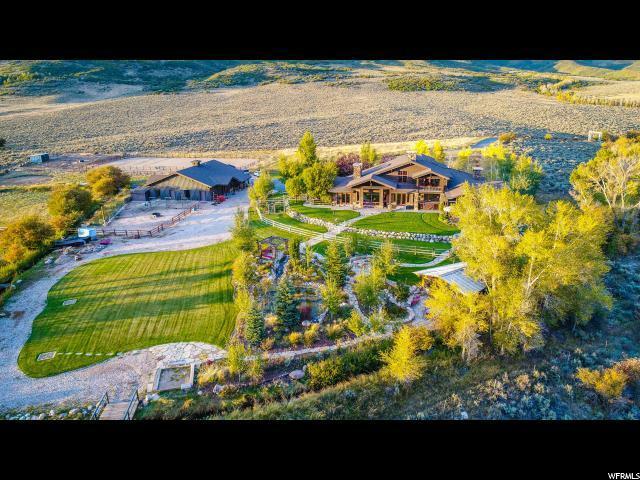 Outdoor riding arena and three irrigated pastures complete the picture. 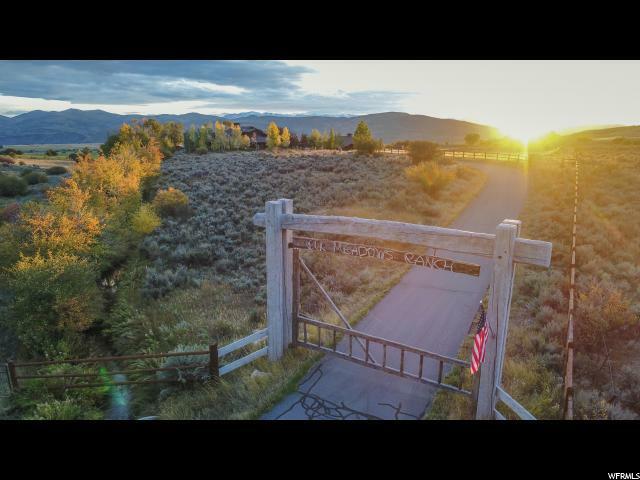 Kids of all ages can enjoy the outdoor bunkhouse "Camp" surrounded by the stone patio area, 2 ponds, 2 waterfalls, a fire pit, and horseshoe pit. Don't' miss seeing this one! Animals See Remarks Pets > 75 Lbs.